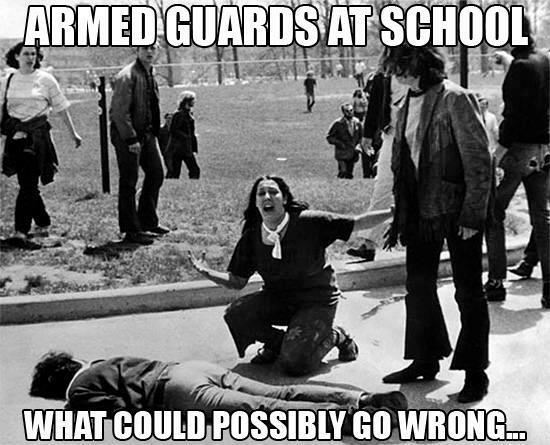 I learned yesterday that Columbine had not one, but two armed guards. Each took shots at Harris and each missed. Then Harris and the other shooter went to the library where the majority of killings took place. So much for armed guards. Perhaps armed students would be better? Or remotely operated machine gun turrets? Or heat-seeking missiles?